Open Doors is a programme of the Festival del Film Locarno in collaboration with the Swiss Agency for Development and Cooperation. From 2016-2018, Open Doors is exploring 8 countries in South Asia: Afghanistan, Bangladesh, Bhutan, Maldives, Myanmar, Nepal, Pakistan and Sri Lanka. Professional development and screening opportunities are offered to selected film projects from those countries. In collaboration with the Swiss Agency for Development and Cooperation (SDC) of the Swiss Federal Department of Foreign Affairs, Open Doors aims primarily at assisting directors and producers from countries in the South and the East, where independent filmmaking is vulnerable. It is committed to enabling them to find co-production partners for their new projects. From 2016, the Open Doors initiative starts discovering the diverse cinematographic landscape of South Asia and its promising talents. During 3 years, the project will cover the following countries: Afghanistan, Maldives, Pakistan, Sri Lanka, Bangladesh, Bhutan, Myanmar and Nepal – the 4 latter ones benefiting from a special focus in 2016 within the Open Doors events. Eight feature-length projects have been selected to take part in the Open Doors Hub. The project teams will be introduced to European or/and international professionals bearing potentials for coproduction, international funding and distribution. The 5-day Hub program will alternate one-to-one meetings, pitching coaching, group discussions and networking activities with Industry and Festival guests. On the last day, a professional jury is granting either development, production or post-production support to a few winner projects, the biggest award being the Open Doors prize amounting to 50.000 CHF. Up to 8 projects from South Asia will be selected to take part in the Open Doors Hub, a dynamic platform where the project holders will meet with potential European and international partners. The Open Doors Lab will invite a few promising, emerging producers/filmmakers producers from Bangladesh, Bhutan, Myanmar and Nepal. Participants will benefit from a tailor-made programme designed to embrace the international market specificities and opportunities, and increasing their professional skills and profile. In order to introduce the Festival audience to South Asia's cinematographic and cultural landscape of the chosen region, a number of films are selected each year for the Open Doors Screenings, a non-competitive section of the Festival. It will start in 2016 with a focus on Bangladesh, Bhutan, Myanmar and Nepal. In Yangon's Memory! 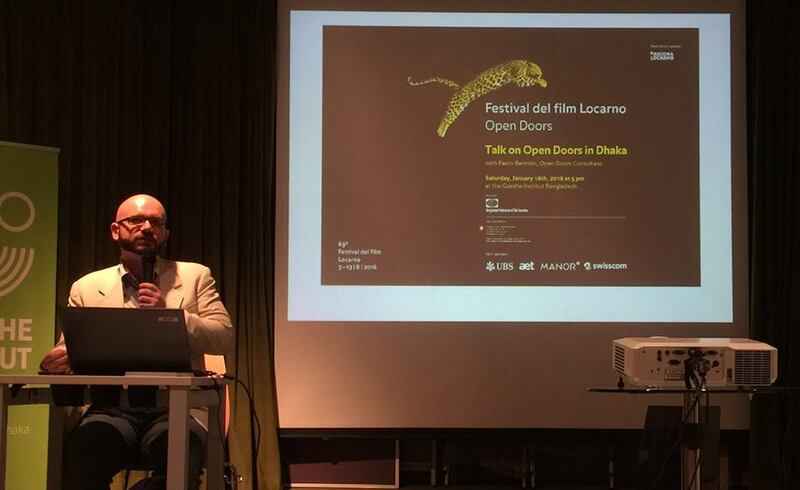 Heritage Film Festival 2016, the Myanmar Script Fund works in close collaboration with Open Doors, a program managed by the Festival del film Locarno (Switzerland).